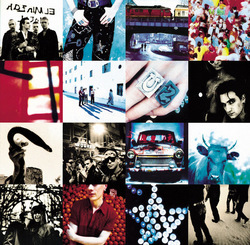 A favorite of mine about U2 that begins with A is Achtung Baby. Sorry Adam fans. When AB was released almost 21 1/2 years ago in November 1991, I must admit that I did not like it. It was such a departure from The Joshua Tree and Rattle and Hum, and actually from all of their previous albums. I had to listen to it several times before I fell in love with it, and then AB was the only thing I listened to for the next several months. It had a completely different sound from any of U2’s previous albums, but the lyrics were still amazing. And for me, music is all about lyrics – and drums. Who’s Gonna Ride Your Wild Horses is my favorite song off AB and one of my top five favorite U2 songs. It is a very emotional and angry song. In fact, I made my first love sit down and listen to the lyrics as I read them to him after he had broken up with me. If I could have written a song about us, Who’s Gonna Ride Your Wild Horses would have been it. Other favorites of mine off AB are One, So Cruel, Acrobat, and Tryin to Throw Your Arms Around the World – but really all the songs are my favorites. AB has become my second favorite U2 album (since I consider The Joshua Tree and Rattle and Hum one album). 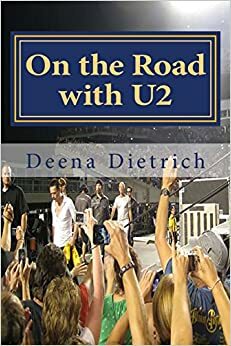 This blog post is part of my A to Z April Challenge about ‘My U2’ – what I love about U2 from A to Z. Thanks for stopping by. I am also blogging the A to Z Challenge on my other blog Deena’s Days about ‘My Music’ – music I love from A to Z. This album was always a favorite! Looking forward to seeing more of the ABCs of U2! Happy A-Zing. it’s the achtung baby documentary. glad you liked it. thanks for stopping by.